It’s official! 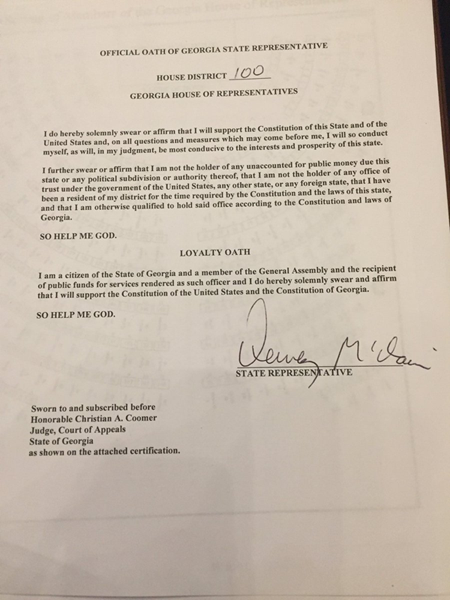 Yesterday, January 14, 2019, I started my fourth term in the Georgia House of Representatives. The 40 days of the Georgia Legislative Session started at 10 AM with 42 Freshmen total, a new Governor and Lt. Governor. 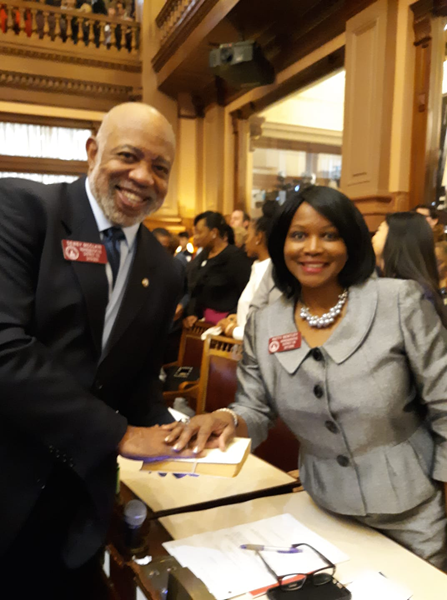 Although there are many new face, some old ones returned such as my colleague Representative Patty James-Bentley with whom I had the pleasure of sharing my bible for the swearing in. I can still remember the first term and I still love serving the people of District 100 just as much as when I started. I promise you all, that I will continue to work hard to get the best for all Georgians! Error: Error validating access token: Session has expired on Tuesday, 02-Apr-19 08:30:49 PDT. The current time is Friday, 19-Apr-19 23:43:51 PDT.